Copyright : This item is reproduced courtesy of The Islander. It may be printed or saved for personal research or study. Use for any other purpose requires written permission from The Islander and the State Library of South Australia. To request approval, complete the Permission to publish form. In 1836 or '37, European settlers at Reeves Point near Kingscote on Kangaroo Island sewed European plants. The Mulberry Tree is thought to be the last surviving plant from this early plantation. After so many years, however, the tree needs a bit of a lift. 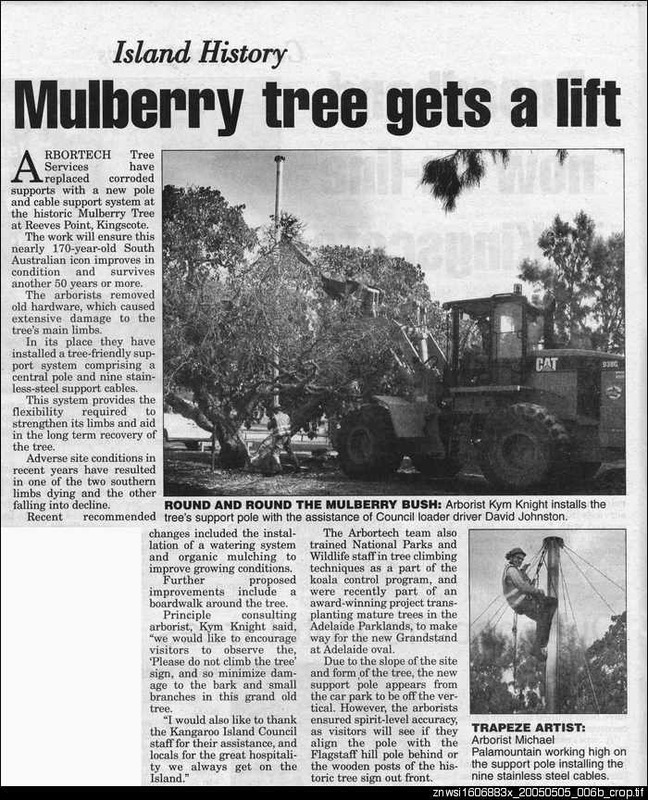 This article outlines the installation of a new support system for the tree.